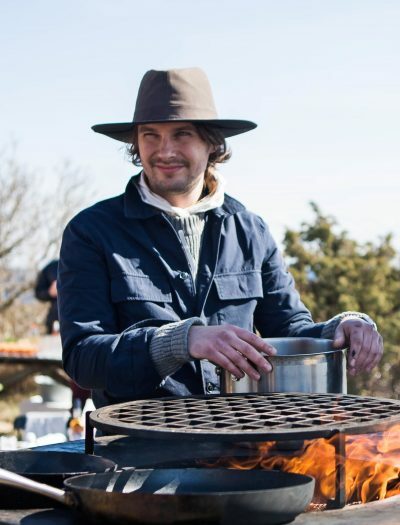 Meet Chef Filip Fastén of Agrikultur Restaurant in Stockholm. In a talk about becoming a chef, competing in food and how to treat your staff when you run your own restaurant. Keep reading. Filip Fastén started out as a dishwasher at the age of thirteen and hasn’t slowed down since. He has worked in some of the top restaurants in Stockholm, been a private Chef in New York, competed and became Chef of The Year in Sweden and opened two restaurants. 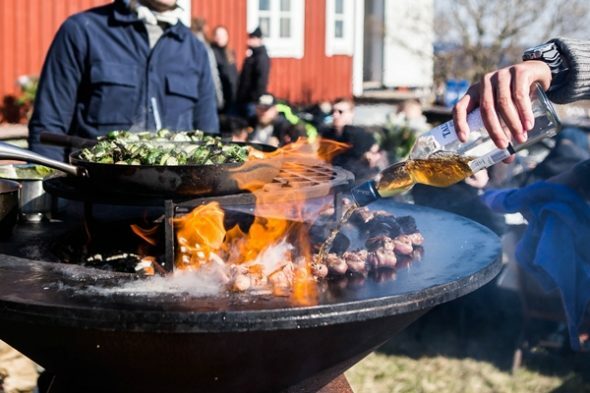 This summer he and business partner Joel Åhlin have partnered with Talisker Whisky for an outdoor pop-up event ‘Scandinavian Detours’ where all cooking will be done outside over an open fire. 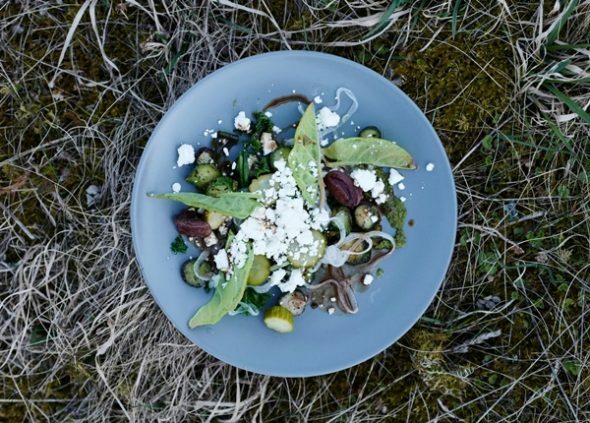 At Agrikultur Filip Fastén offers what he calls Nordic Comfort Food, a set menu of vegetable driven dishes where the protein is used more for flavour than being the centre of the plate, but without taking away the fun. He also figured out ways to make sure working in a top restaurant can be sustainable for the staff as well. At first it was a rebellious thing. I was thirteen years old when my father drove me to a restaurant internship for school. He told me that I could do anything as long as I didn’t become a chef. That’s really where it started. I got into the kitchen and found a grown-up environment that I liked and felt that I could develop and grow in. It was easy for me, I understood it and learned quickly. Were you interested in food before that as well? Yes, that has been a big part ever since I was a child. We’ve always had good home cooked food. Maybe we treated ourselves to a take out pizza once in awhile but besides that it was always good home-cooked real food. My grandparents had a huge garden and cellar where they stored root vegetables. Really the way we have begun to value food today but with a tradition that is very old. That’s where I fell in love with food. Rhubarb, juniper cream, sea buckthorn and heartsease flowers. So how have you evolved in food since then? I’ve gone through so many stages in my food interest. From starting out very young and being shaped in a tough adult environment. That changed into to me becoming a different type of chef where I work with flavours, textures, and all the senses really. I love that part of being a chef. So your career got started in your hometown Ljusdal? years working at a few good restaurants here and learned a lot. In 2011 I competed to become Chef of The Year and got into the media part of the job. I worked with TV and print media but got tired of that fast. So I was considering leaving the business and become a painter instead, but my friend who had the paint shop wouldn’t let me do that. So instead I went to New York to work for a few months and then back to Stockholm to Restaurant Frantzén. Then I tried competing for Chef of the year again and I ended up winning it in 2014. Do you like competing in food? You know the weird part is that I don’t really like it. I think it’s weird and I’m not really a competitive person. I do like to challenge myself and it felt like a fun project. Then I won the whole thing and that turned into other projects like catering and guest chef projects. But I felt that that wasn’t my thing, I wanted a place of my own. A restaurant. Had you been dreaming about a place of your own for a long time? Not at all, that was the first time I really considered owning something of my own. So I partnered with Joel Åhlin and we opened Agrikultur in early 2016. How would you describe your food and the food of Agrikultur? I cook for myself not the guests, which is something I learned a couple of years ago. Before I always wanted to impress with food or shock and thought a lot about how the guest would experience the food. I completely let that go and instead I focus on how I want it. How do I want to eat? I make good food in a sustainable way, without making it boring. We serve lots of vegetables but it’s not vegetarian. We still use both fish and meat but more as a seasoning than a centrepiece of the food. If you really want to get it down in one sentence you can call it ‘Nordic comfort food’. 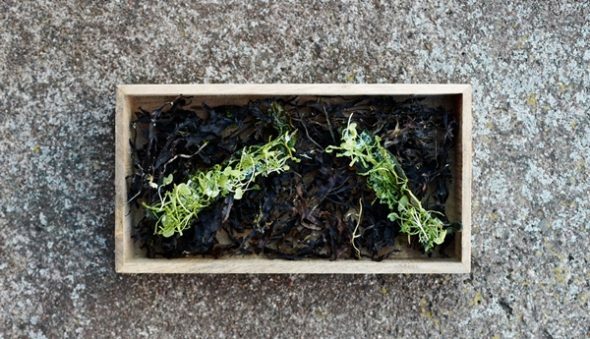 Crispy seaweed, yogurt, juniper and wood sorrel. You haven’t kept the sustainable part to just the food, you also make sure Agrikultur is a good place to work at, how? First of all we’re only opened Monday to Friday, weekends are closed. No overtime, everyone is on a set schedule to not wear the staff or ourselves out. We use a set menu to waste as little as possible and make the work more efficient. Of course we also have all the benefits that you would have in a normal job with retirement savings and insurances. Those are the big things but if you scale that down it is really about listening, helping and educating each other. Together we’re stronger. You’ve just opened a second restaurant called Bar Agrikultur, what can you tell us about that? It’s a food bar, small dishes done in our style served with gin that we produce together with Härnö Gin and Stockholm Bränneri. So it’s a Gin and Tonic bar, not a cocktail bar, not a regular bar but a food bar. Picture it like a Spanish Gin Bar. It’s tiny; we can take 12 seats sitting down and 17 in the bar. 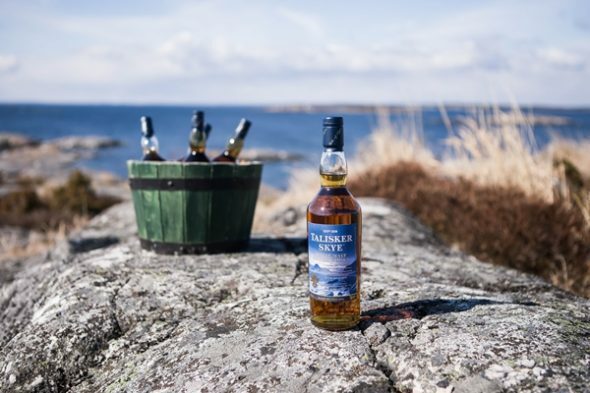 This summer you’re doing a project with the Whisky brand Talisker, what is that? That will be lots of fun, we are going out to remote locations and we’ll be cooking two pop-up dinners over open fire. No water or electricity. We’ve done a trial run and it turned out really great. You’ll get to experience these places and I love the outdoors myself like hiking, fishing and hunting. It’s a fun project, lots of stuff to carry but great once you’re setup. Is the food planned for the dinners already? We have a rough plan but since we want to cook as much as possible with what’s around us we’ve left some things unplanned. So depending on how far in the seasons we will be and what we find around us we won’t know until it’s time to go. So will there be whisky in every dish? The project is just as much about the adventure and location as it is about the food and drinks. 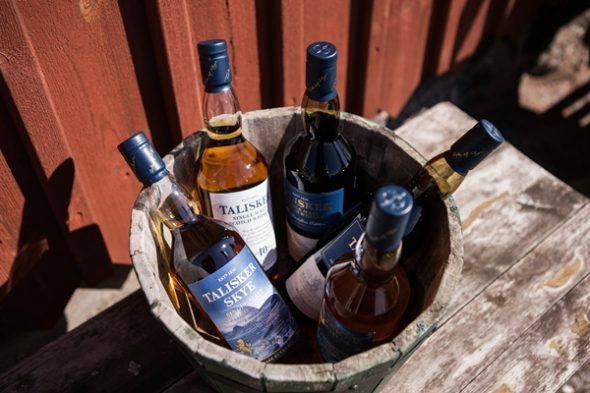 There will be Talisker whisky served with the food and it is part of a few dishes. We tried a fire-roasted bread on a stick with whisky that turned out really great. Are you considering more restaurants in the future? We’ve just opened our second place so for now we will stick with that. But if all goes well and we have the people to expand it could happen. It will be all about finding the right place at the right time, we’re not looking right now but we’re not afraid of it. You’re not a competitive person and still won Chef of The Year, does that mean you’re done with competing? I said that I will win Bocuse d’Or in 2021. But if I will even try is not likely, but if there is one competition I will want to try it is Bocuse. There’s a duality there. It’s the one competition I would ever want to try if I should compete again. At the same time I’m not sure I want to spend all that time training and wasting food. Maybe it’s better that someone who’s fully committed to it does it. All honour to those who do. Like many chefs I like a good hot dog but it’s not like I’m embarrassed about that. I’m not that picky, I’ll eat most stuff and don’t judge anyone, if someone wants to judge me it’s up to them. Barcelona, I love experiencing new places but I have a small apartment there so I go often. I have a bunch of favourite places and just walking to the Boqueria and getting some fresh seafood and grilling is hard to beat. 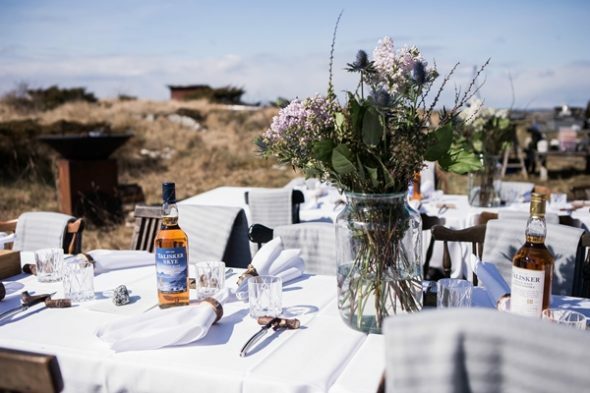 Read more about Agrikultur, Agrikultur Bar and how to get a chance to eat at one of the outdoor popups with Talisker this summer below. To keep up with Filip Fastén I recommend following him on Instagram, find him @filipfasten. Agrikultur opened in 2016 by Filip Fastén and Joel Åhlin. They offer an ever-changing prix-fixe dinner menu with two seatings each night. A few seats are left open to walk-in guests. The food is Nordic Comfort Food based on seasonal Swedish produce. Agrikultur is located on Roslagsgatan 43 in Stockholm. For reservations visit Agrikultur online here. 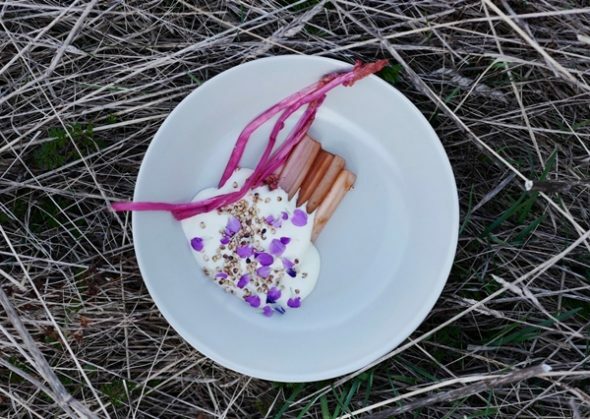 Bar Agrikultur is the latest addition from Filip Fastén and Joel Åhlin. 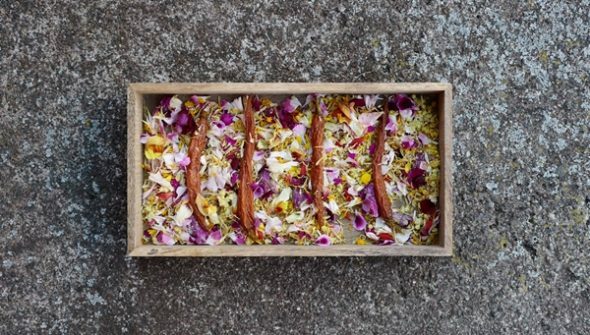 A mini food bar that serves small plates based on the same philosophy as Agrikultur. There will also be brunch and a great selection of Swedish gin and beers. Bar Agrikultur is walk-in only and is located on Skånegatan 79 on Södermalm, Stockholm. 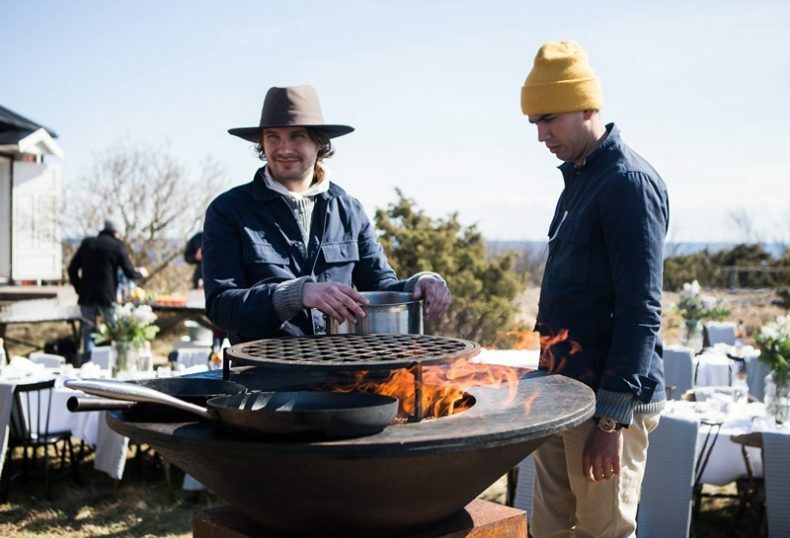 One part of the guide are two pop-up dinners hosted by Filip Fastén and Joel Åhlin where they will cook a full dinner in the middle of nowhere using only fire. One dinner will be set in Sweden and one in Denmark. 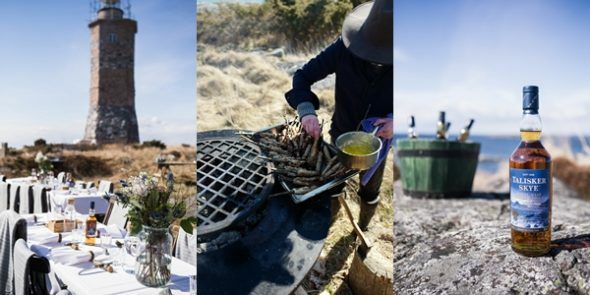 You can book your place at one of these dinners and get the full guide to your Scandinavian Detour here.